The entire Kardashian/Jenner clan has gone through some very difficult times in the last couple of months – especially Kendall Jenner who had her home robbed a few weeks ago and just last year had to deal with a scary stalker situation. The model had previously discussed what had occurred with the individual who has been accused of stalking on her blog, and detailed how it encouraged her to increase the amount of security. What she hadn’t shared with fans was how the emotional and personal affect it had on her every day life. Well, Kendall is now recounting the terrifying experience on the latest episode of Keeping Up With the Kardashians, and what she had to say about it all was absolutely shocking. “I drove around and went into my house and I watched the gate close. I turned my car off, getting my stuff together. I'm about to open my door and look in my rear-view mirror and he was standing right there. In the gate, right behind my car,” she continued to say. Then the Kendall recalled how the man told her he needed to speak with her while banging on her car window, and wouldn’t leave her property – which of course left her absolutely terrified. She then quickly jumped to action by calling one of her friends and waited for them to arrive. When they did – they forced the man to wait on the curb for police. Now those are some very good friends! Of course hiring some extra security surely helped her feel safe, though we do hope that Kendall has been able to cope with everything that has happened and maybe publicly speaking out has helped her in some way. 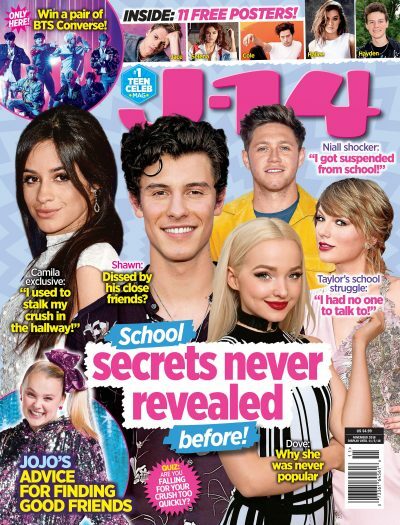 Make sure you tweet us over at @j14magazine to let us know your thoughts!